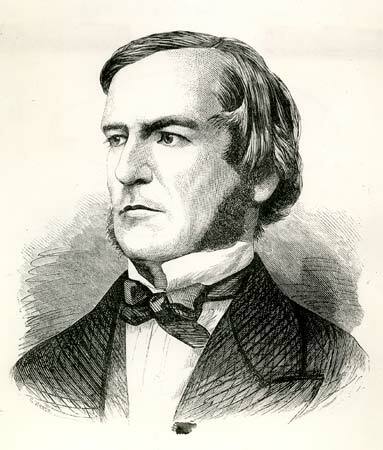 Way back in 1854 George Boole published a book [Boo54] where he studied the mathematics of a number system with only two symbols: “0” and “1”. We can also call those two values true or false if we wish, but let’s stick with our familiar numbers. By the way, one of George’s famous papers is part of “God Invented the Integers”, a collection of famous math works edited by Stephen Hawking. [Haw07]. This book is tough to read, but worth the effort! But what about this next one? Instinctively, you want to write down “2”, but there is no such number in this system. In binary the result should be “10”, which is also illegal in this system. The only result that makes sense (at least to George) is “1”, since it surely cannot be “0” (the only other possibility)! Now that seems just plain silly, and hardly useful. But it really leads to something very useful! Subtraction does not really make much sense, since, by definition, subtraction is identical to addition of negative numbers, which do not exist in George’s boolean world. So we will ignore that operation. Once again, we run into another problem, just as with subtraction. Division is repeated subtraction, and we eliminated that operation. So, division goes out as well! That is all we need for now. But exactly why this form of math is useful needs to be explored. Do you see a pattern here? The truth table for the AND operator follows George’s math rules for multiplication, and the table for the OR operator follows George’s math rules for the addition opeator! Interesting! With these definitions in place, we can define a few rules for boolean algebra. Most of these should be obviously true. That last one works for any even number of compliments! There are a few other rules that are useful. These formulas are useful because there is an equivalence between boolean algebraic formulas and digital circuits involving the fundamental components (aka gates) we use to build them. We can actually set up digital circuits as boolean expressions, then simplify those expressions and produce a simpler circuit that operates the same way. This is a key concept in designing digital systems. There are a few more rules that are very useful in simplifying boolean expressions (circuits) They were developed by Augustus De Morgan, and named after him. Again, these are very handy when we need to simplify an expression. Simpler expressions lead to fewer components and lower cost. They might also lead to more speed, and we like that! The operator produce a “1” if and only if one of the two inputs is a “1”. It produces a zero otherwise. We will develop a couple of additional rules involving this operator later. → HW 3: Time for a Time Out!